Protesters at Kiev's Maidan Square fought and sacrificed to change the system, not just the faces. However, although we are working to change the system, as of yet we have very few new faces. Ukraine must force old leaders to work in a new way, or else make them give way to new faces. Despite low expectations for the interim government, it has performed relatively well. It is not the worst government Ukraine has ever had, and may even be one of the best in the history of independent Ukraine. Despite external aggression, it prevented default in Ukraine and signed the political half of the Association Agreement with the European Union, one of the protesters' essential demands. Ukraine must control politicians' and bureaucrats' desires and keep them under the constant attention of civil society and the media. Still, there are no illusions: yesterday's crooks are unlikely to turn abruptly into corruption fighters, nor are those who used their influence on the legal system likely to quickly turn into supporters of independent courts. It is clear that moral responsibility alone to the Ukrainians who died on Maidan Square is not enough to force the government to play by the new rules. Ukraine must therefore create a legal framework that would limit politicians and bureaucrats desires and make sure that they are under the constant attention of civil society and media. After all, even if we cannot rapidly replace all the faces in the system, we can make those who live by the old rules highly uncomfortable in the new system. Civil society's influence has already lead to a number of new laws that significantly affect those who operate under the old rules. For instance, important revisions have been made to the law on public procurement — the main source of corruption at the highest level. Another major law, "On the Restoration of Trust in the Judiciary," helped clean the legal system of the most odious judges involved in illegal acts under Yanukovych's administration. Pressure also must be exerted on newly elected President Petro Poroshenko. 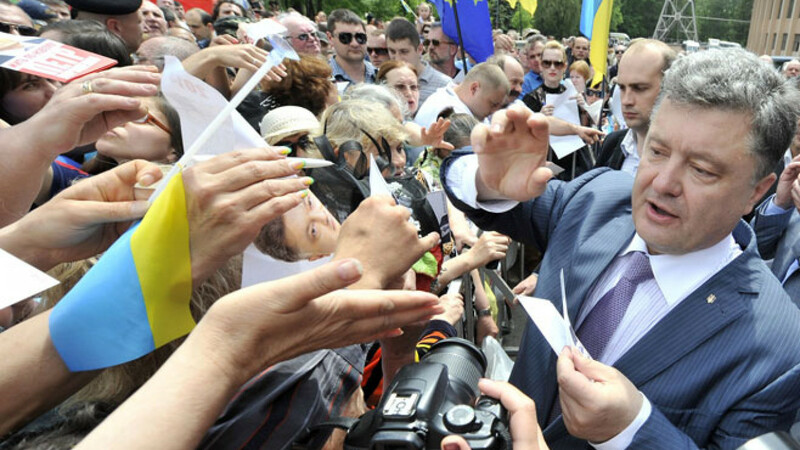 Under the pressure from civil society, Poroshenko has promised to sell his businesses after becoming president. Should he waver on this decision, he should bear in mind the fate of the ousted Yanukovych, who turned his government into a powerful money-making machine and suffered the consequences. Obviously, the pressure on the government would be greater if not for Russia's undeclared war against Ukraine. Even the government's fiercest critics face the dilemma of whether it is appropriate to criticize the state at the time when the territorial integrity and sovereignty of Ukraine is threatened. Consequently, internal pressure from civil society is not enough — external pressure from Europe is imperative. The Ukrainian government has agreed to take the IMFs and EUs offer of money in exchange for reforms, a deal that is much more attractive to the Ukrainian people than the status quo cash deal that former Yanukovych pursued with Russia. Although the IMFs requirements are important, the EU should be the key player. From the moment it agreed on an association agreement with Ukraine, it assumed a share of responsibility for Ukraine's development. Nor is not enough just to sign the Association Agreement with Ukraine; it is necessary to help Ukraine with its successful implementation. Naturally, after Yanukovych's government, any other Ukrainian government may seem fair and honest to the EU and to the West in general. However, the West should not relax its vigilance, turning the policy of "carrot and stick" toward Ukraine into a policy of only carrots. Ukrainians should also work to make sure that funds provided for reforms from international financial institutions and organizations are not misused or deposited in pockets of officials. Three years ago, in the pages of this newspaper, I wrote, "Ukraine will not sacrifice its European integration for a closer friendship with Russia on the Kremlin's terms." And indeed this has not panned out. This victory has happened however, at a high price — the price of human lives. However, these sacrifices make it even more incumbent upon Ukraine's people to make their country's transformation into a truly European country remain not merely an abstraction. It will not be easy to implement system changes in Ukraine, and changes is unlikely to come from the top. Change will come instead from the bottom and from the side.